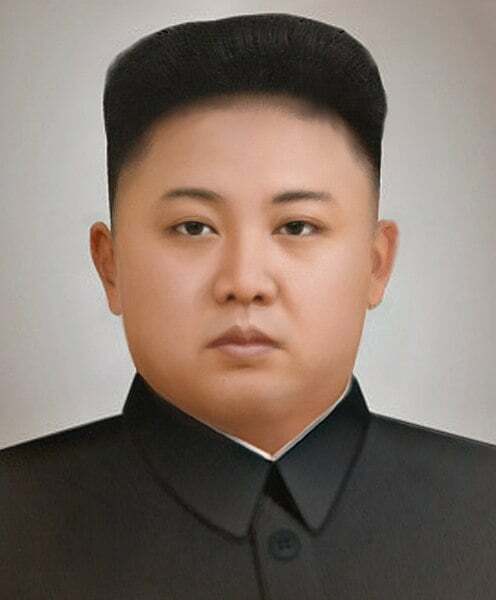 DPRK leader Kim Jong Un was back in Beijing for an official visit, on the heels of his meeting with the US president in Singapore. A sign that denuclearization efforts are on track? China vows to match any additional tariffs the US will raise beyond the 25 percent duty on 50 billion US dollars worth of Chinese goods. Could the battle over tariffs escalate? Let's begin our program today we begin our program in Beijing. You are either Kim Gaumont is in the Chinese capital for a two day official visit. This is Kim third trip to China over the past few months. Only a week after that historic summit between him and U.S. President Donald Trump in Singapore. Take a look at the latest meeting between Chinese President Xi Jinping and the DP al Qaeda Kenge Okorie within the past three months. A week ago the DP leader shook hands with a U.S. president Donald Trump in Singapore. At that time the leaders of the two countries said after the Korean War and a joint statement that the PRK and the U.S. have agreed to establish new relations in accordance with the desire of the peoples of the two countries they are committed to build a lasting stable peace regime on the Korean peninsula. Besides the symbolic significance of the summit Mr. Trump sees its relations with Kim Jong un as more important than the joint statements more important than the document. I have a good relationship with Kim Jong un that's an important thing to say. I can know I now I can now say well we have a problem. I told him I gave him a very direct number. He can now call me if he has any difficulty I can call him. We have communication to very good things other members of the six party talks also welcome the positive outcome. Russian President Vladimir Putin invited him to visit to Russia in September. Mr. Putin said he welcomed the meetings between the DPR leader and Mr. Trump. Last week Russia called for the easing of sanctions imposed on the DPR. After Pyongyang agreed to the denuclearization of the Korean Peninsula South Korea and the U.S. decided to suspend their joint military drills in August. South Korea said the suspension is demand to contribute to maintaining the positive momentum so also said there has been no decision made on any of the joint exercises. Mr. Trump pledged to end war games with South Korea after his meeting with Kim. The US president described the exercises as provoke active and expansive more about the future of the Korean Peninsula without whom Beijing still Ocale Kongou is a fellow with the Carnegie's Nuclear Policy Program. They said the Carnegie team sent Brookover policy here in Beijing. Welcome sir. Also telling us the metaphor that we have the sung elite Kim Korea foundation professor of Korean studies at the Fletcher School Tufts University. Welcome professor in Buffalo. U.S. we have Danias welder who is an assistant professor of practice in Asian Studies in the school of foreign service Georgetown University. He also former special assistant to the President and Senior Director for Asian Affairs National Security Council and administrator and George W. Bush. Welcome to the three of you I want to start with our Chinese gasoline market leader Kim Jong un is visiting China today. A special visit and the news that he is coming over to China is release the before he came to the country. That is a rare practice. We look at his previous trips. What does this say. Well I think one of the messages sent was no no no. Even though North Korea's now in a different place and wasn't really wants to be able to good relations with the United States. But news you see China as the most trustworthy partner still relies very much on China for cooperation and in supporting the future negotiations over the denuclearization process and peace regime in the Korean peninsula. So I think that's a proof that some previous concerns that China might be marginalized in this process. That concern was very much misplaced. OK so Kim Jong un showed his confidence he is willing to review the news of his former aides. Apparently he's now concerned about domestic instability back in bed at home. He's now. He feels very confident. He has 40 consolidating power domestically in North Korea and so I think he's looking on the international stage. I think he wants to present the image of a leader of a normal country. And he's going to have much many more international visits in the future. So although the visit will happen in a normal manner just as just like any other top level statement it's just a while ago. According to this press release by the two sides the PRK and China after the meeting meeting the leaders just now two hours ago they indicated that there are three supports. China will continue to provide the key to.